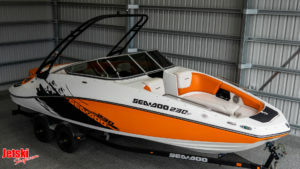 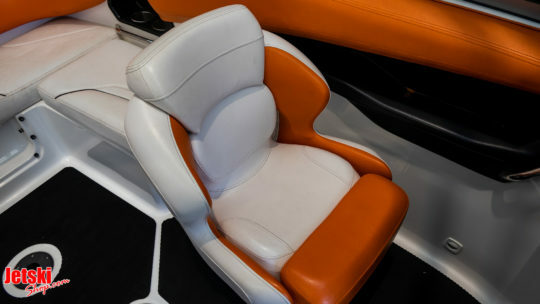 Sea-Doo twin supercharged 4 stroke engines producing 430 horsepower, this will take the whole family and extra friends. 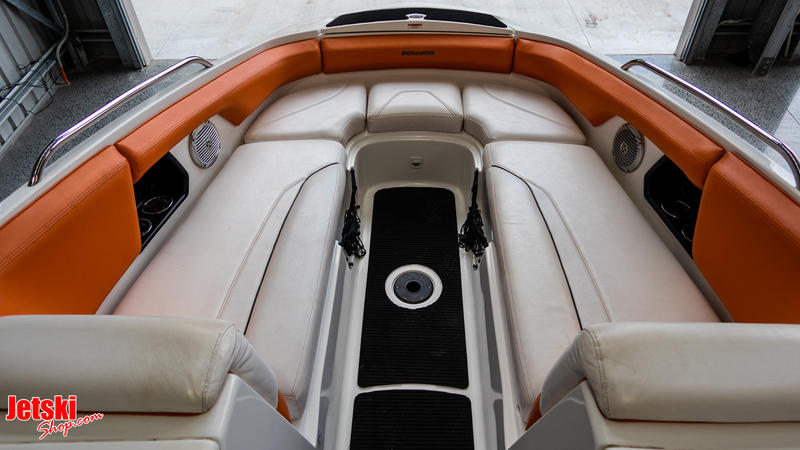 Black Powdered coated wake tower. 2-4 hour hand over and education on launching and retrieving, plus personal guide to owner maintenance. 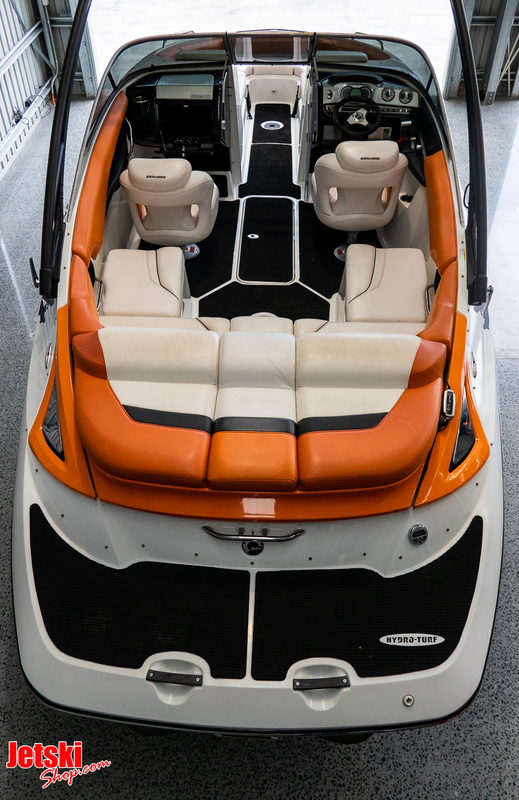 A 23-foot (7 m) crossover packing the versatility of the Sea-Doo boats Challenger family with wake-boat attitude. Customize the Ski mode for a rider and driver. 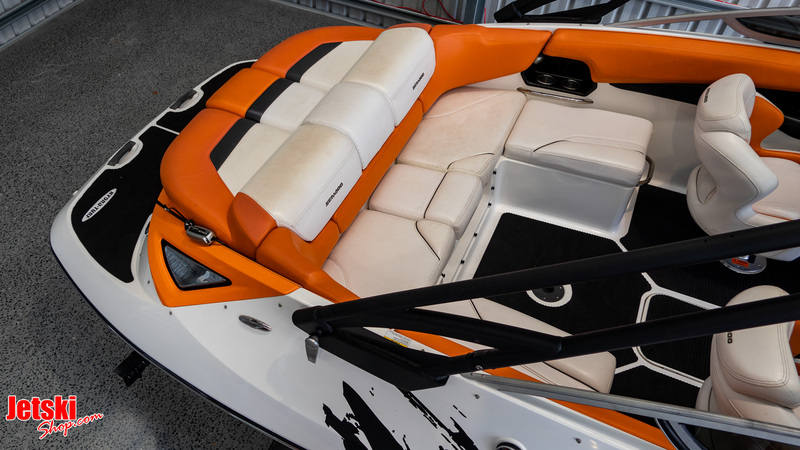 With a foldable arch tower for boards, ample space for gear and bolster seats for better visibility. 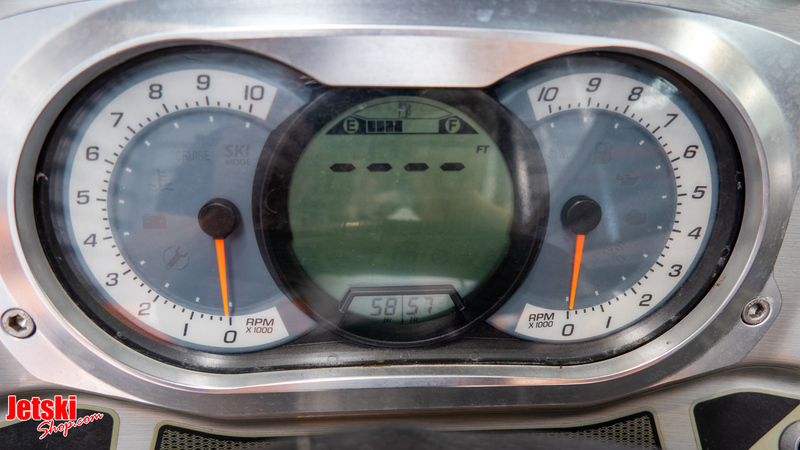 And ECO mode holds you at the best on-plane range for optimal fuel economy. 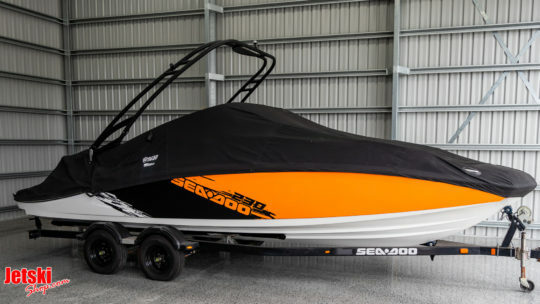 Another ingenious mode is the Ski mode, which is perfect for any kind of recreational towing behind this boat. 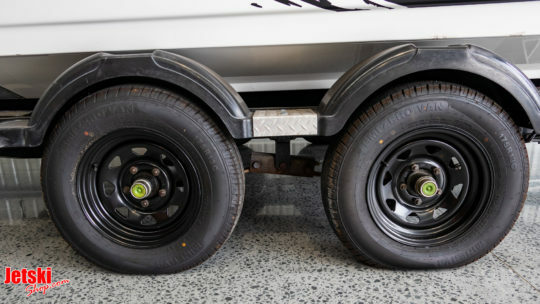 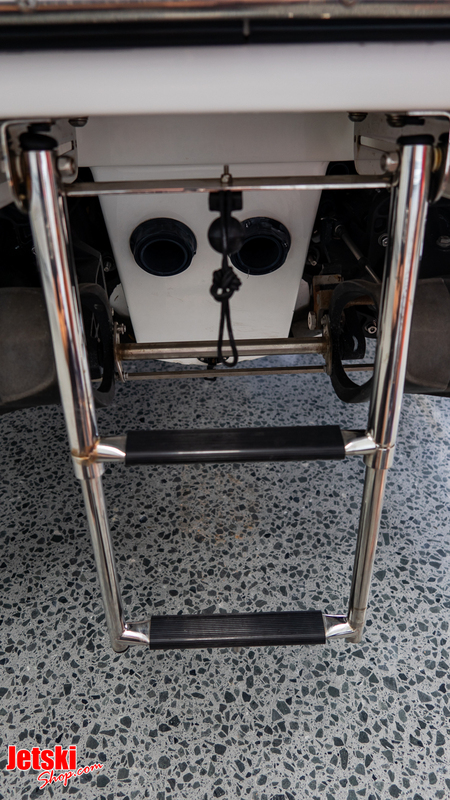 It allows the driver to program the power, pull and top speed, based on the skill level of the person being towed. 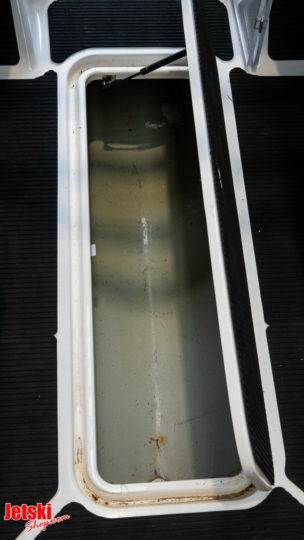 As a result, the boat will always start and pull at the same consistent speed, and will reach and maintain whatever top speed it has been programmed to achieve, providing the perfect launch every time. 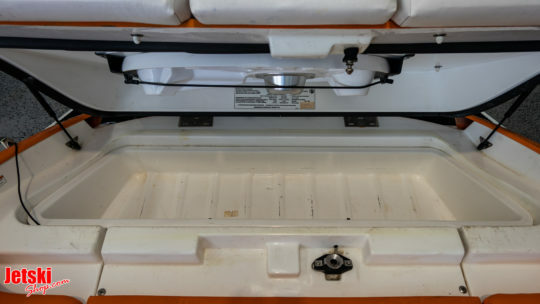 Additionally, there are two other modes that stand out on this boat. With ever rising fuel costs, the nifty little ECO mode is a very welcome feature. 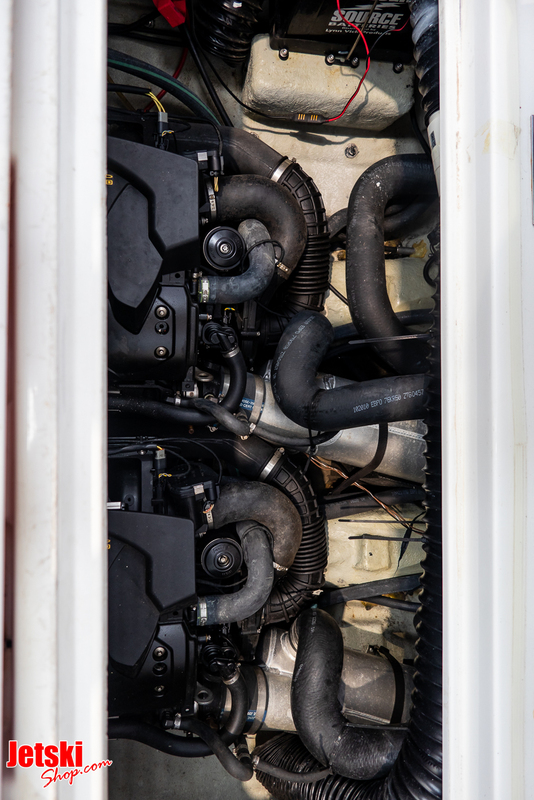 It is designed to optimize fuel economy by running the boat at the best on-plane range and holding it there. 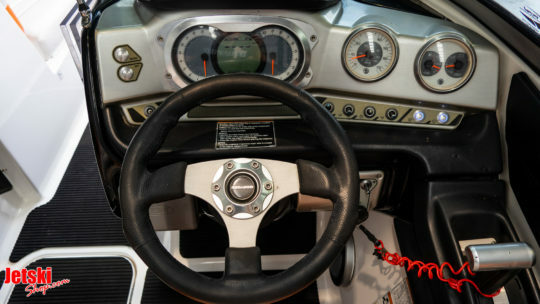 And for those long open runs, the cruise control mode will certainly be appreciated as it effortlessly maintains your speed while you focus on executing those perfectly smooth wide arcing turns. 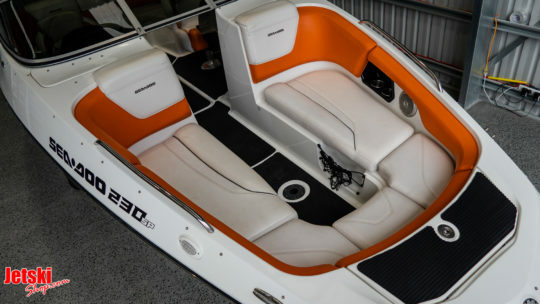 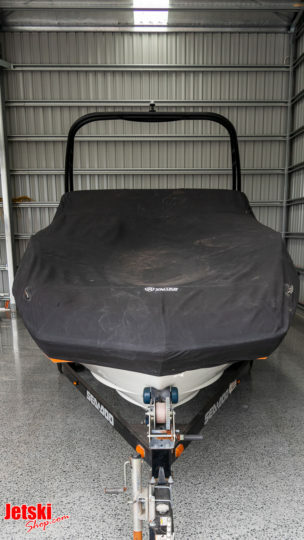 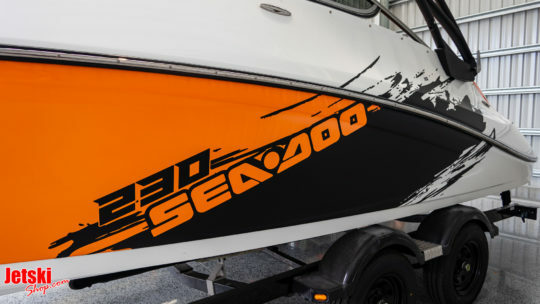 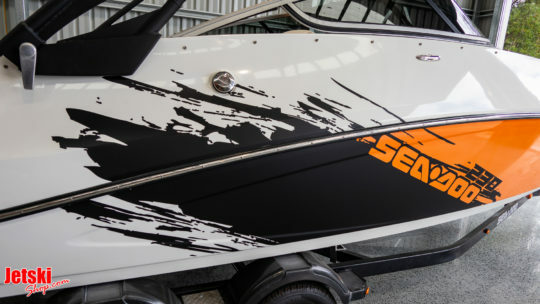 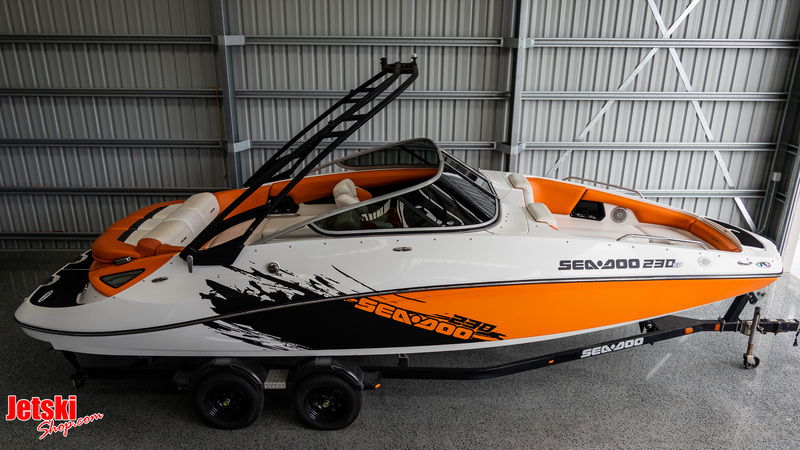 The big 7.1m Sea-Doo 230 SP is a pure wake or skiboat that is extremely well designed and a genuine competitor in a market dominated by prop-powered hulls. 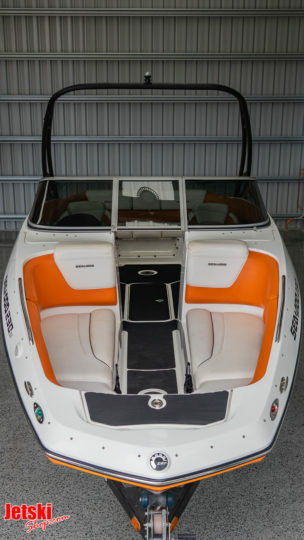 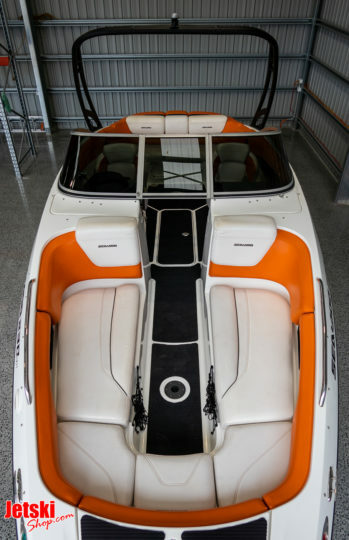 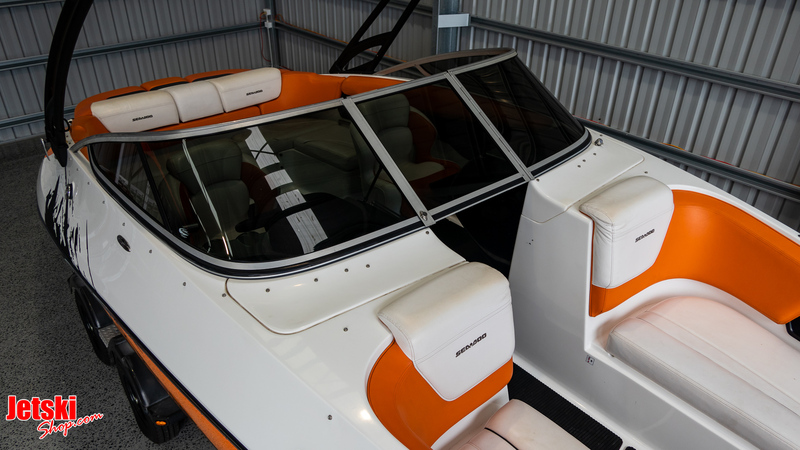 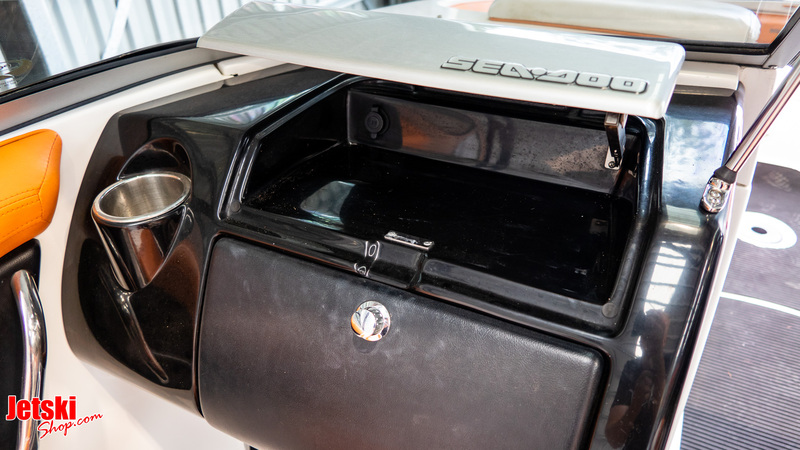 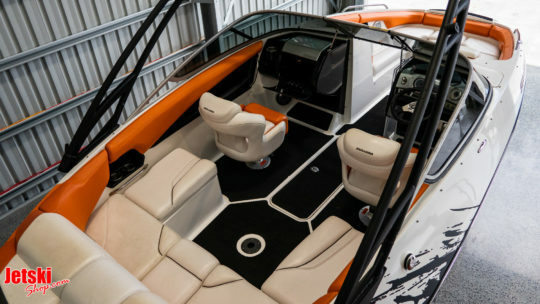 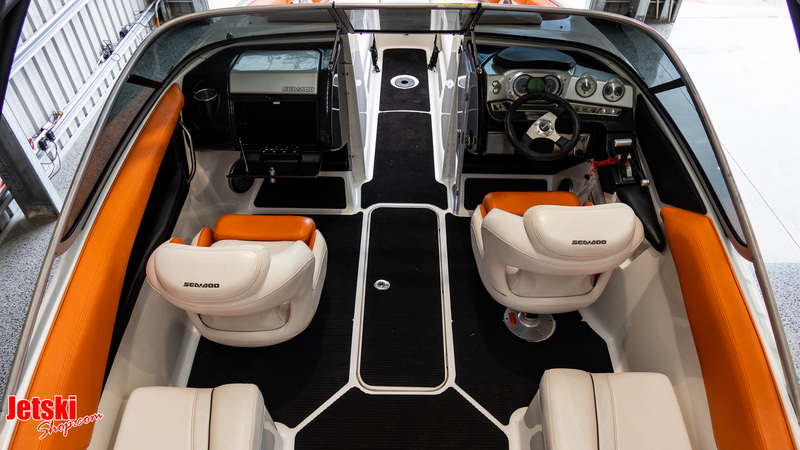 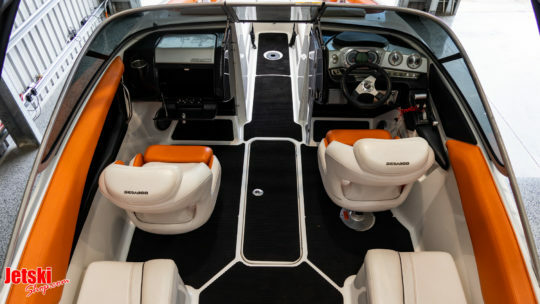 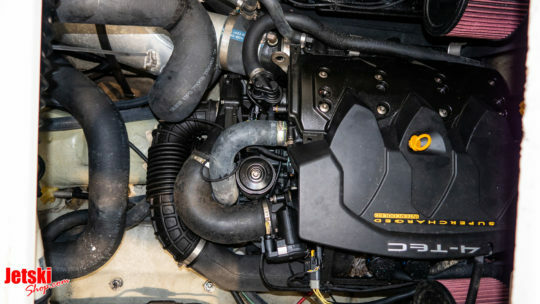 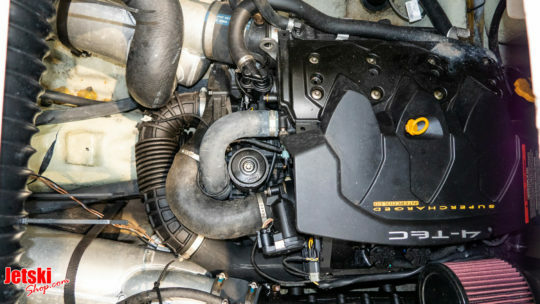 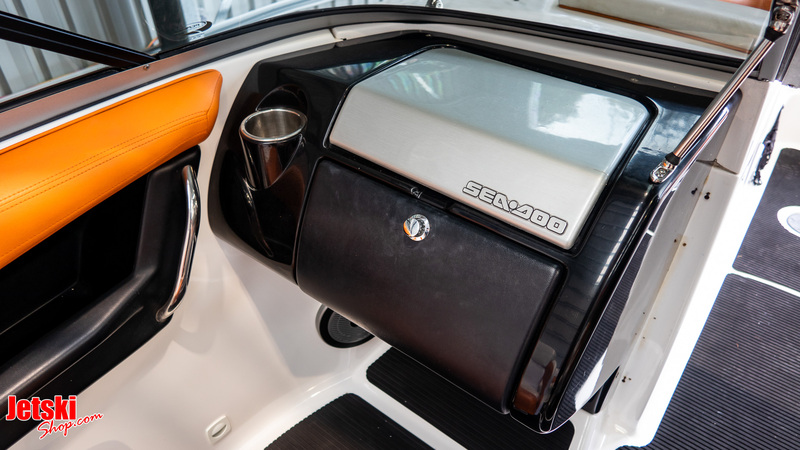 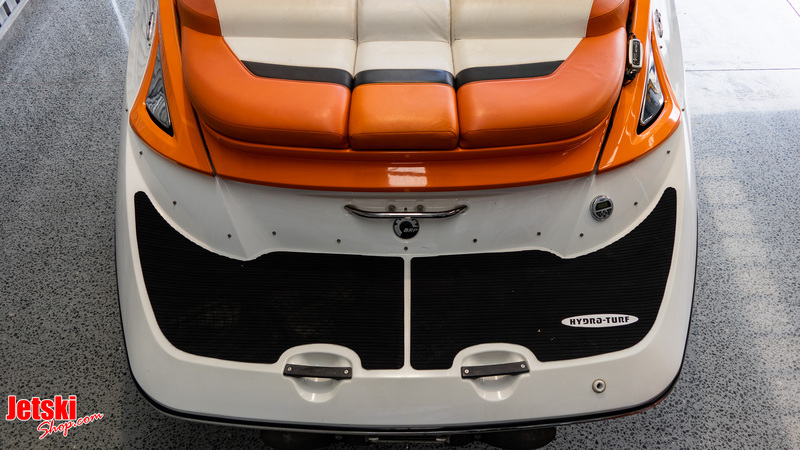 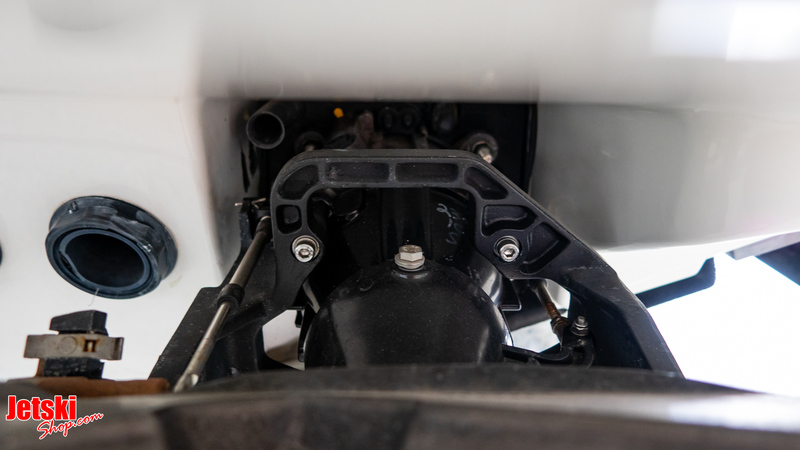 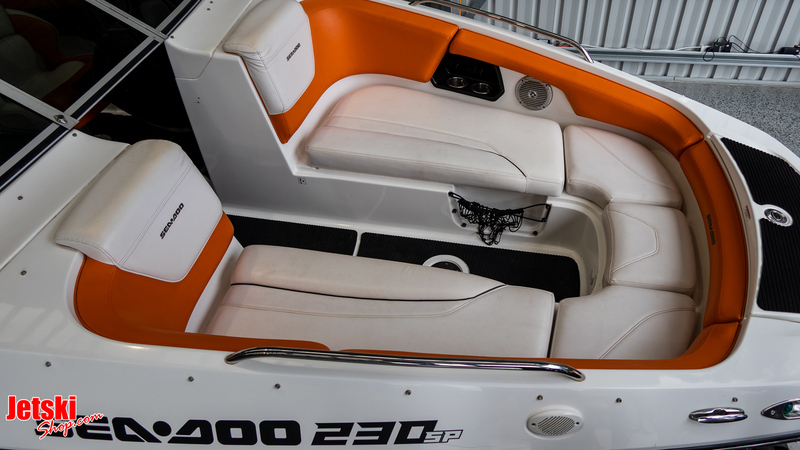 With a total of 430hp providing the thrust, the 230 SP had plenty of power to do the job of both cruising and pulling wakeboarders out of the water. 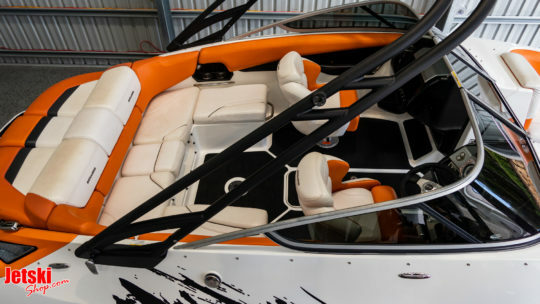 The waketower gave a nice, high tow point.